Although just recently gaining popularity, bone broth is an age old healing remedy and has been used for thousands of years in Ayurvedic medicine. The multitude of health benefits are various and extensive, making this nourishing tonic beneficial in many different disorders. For me and my petite Vata–Pitta body type, bone broth has been a great alternative for obtaining the essential animal-based vitamins and minerals without having to eat the meat itself. After being vegan for 4 years and vegetarian for another 4, I was left feeling depleted, diagnosed with anemia and had accumulated recurring cycle issues. I was eating a large amount of plant-based nutrients, but unfortunately this is not always as absorbable as animal-based iron (as well as other nutrients). Bone broth is now a regular part of my daily diet. It has become a happy, healthy compromise that has left me with a stronger body, more energy and regular, healthy cycles. 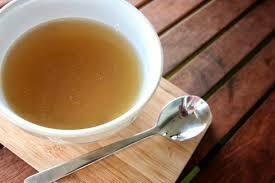 In Ayurveda, bone broth can be used for Vata, Pitta or Kapha disorders, as it is tri-doshic by nature. Bone broth is packed with essential fat-soluble vitamins and minerals, in an extremely easy-to-absorb form that can be digested and utilized readily by most any-body. Click here for a printable copy of our Healing Bone Broth Recipe! 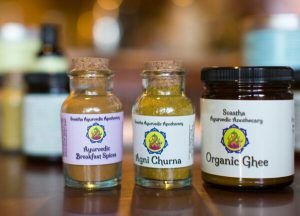 **Spices can be replaced by 1 Tbsp of Agni Churna digestive spice mix. Add the bones, veggies and spices (except the salt) to the crock pot. The veggies can be chopped if desired. Fill the crock pot with fresh water until it is just about full. Cover and turn the crock pot on a low temp setting. Cook for 8-20 hours. Strain the broth and lightly salt to taste. Add the fresh lemon juice and then place the broth into ball jars or glass tupperware to let cool. If you are sensitive to the oils, you can let the broth cool in the refrigerator before consuming, and scrape the layer of fat off of the top. Once refrigerated, this broth will last up to a week. The remaining strained vegetable ingredients can be consumed, added to other dishes, given to the dog (NOT the bones!) or composted. The bones should be tossed in the garbage (once again, do not give them to the dog after cooking). If there is extra broth, you can freeze it in ziplock bags or plastic tupperware as needed. This will last up to 6 months. Try to consume at least a cup of broth everyday. Feel free to drink the broth like tea or make this a base for soups, dal, kitchari or any other appropriate dish. It makes everything more nourishing and taste better! This recipe is vey beneficial for Vata types and is great during times of Vata imbalances such as depletion, weakness, constipation, osteoporosis, and arthritis. If there is anemia, it is recommended to use a red meat to steep with the bones. Otherwise no changes are needed! Pitta types can replace the beets and onion with more cooling root veggies such as sweet potatoes and parsnips. They should replace the lemon with lime and add in fresh cilantro leaves (about 1/2 cup). Pitta types should avoid adding any red meat to the base. White meat chicken would be a better option if meat is to be added. Otherwise this recipe is very beneficial for Pitta and an effective way to reduce inflammation in the body. Kapha types should avoid any excessive fat by cooling the broth and scraping it off of the top. To enhance digestion, they can add in extra heating spices such as cayenne pepper. They can also add in chopped garlic cloves, chili pepper and/or a splash of apple cider vinegar if desired. The salt should be kept to a minimum, ideally using pink Himalayan which is best for Kapha types. This is a great option for Kapha types as a healthy and light snack between meals! Hi Sean! Thank you for writing in. Since IBS can have so many variations in symptoms, it is always best to do a full consult in order to get personalized treatment. If you are Pitta and would like to try the Bone Broth, you can make it a bit more cooling by adding in some cooling veggies and spices to help balance the heat. This could include parsley, cilantro, coriander, bitter greens, celery, etc… Also, part of the heat stems from the oily nature of the broth. Therefore it is recommended to cool the broth before drinking, letting the fat solidify to the top. Then scrape off the fat and reheat the broth as needed. Hope this helps you a bit! Thanks again for your questions! Thank you for sharing this. I’ve been wanting to make my own bone broth but haven’t got the time. I’m currently drinking Au Bon Broth and I love it. It helped me with my joint pains and made me feel more energetic than before. Is that ok to make it in earthen-pots…what is crock pot? Thank you for your question. This recipe would be fine in an earthen pot or even a large stainless steel stock pot, as long as you cook the recipe on a low temperature. A crock pot is simply a ceramic pot that can be kept at a continuous low temperature for long periods of time allowing for an even and slow steeping process. It tends to be very convenient as well since you can fill it up overnight and leave it on while you sleep with no worries of a fire, etc. HI! When do I add the stew meat? I will try that. I imagine I could also add some meat when I make soup with the broth? Is it good to eat the fat that goes to the surface after cooling? The fat on the top can be scraped off if desired. I often will leave a small amount however, as a lot of this fat has nutrients from the bone marrow directly. 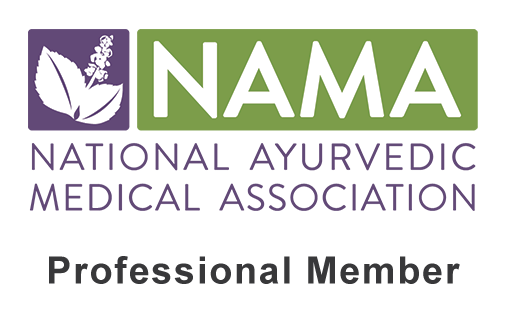 If you are a Kapha type or suffer from any Kapha disorders such as high cholesterol, excessive weight, obesity, etc, then the fat should be removed completely. Alternatively, Vata types will benefit most from taking in the extra fats. Ultimately it is really up to your personal preference and needs. Thanks for writing in! Thanks again Danielle. I saved the fat as I thought it would have good nutrients. I am tri-doshic so maybe use it in another soup.